Continuation of service arrangements in place since 2009: Saolta. Sligo Regional Hospital /Saolta University Health Care Group have confirmed that Sligo patients recovering from a breast cancer diagnosis and treatment (surgery will continue attending University Hospital Galway for their follow up surveillance mammography. This, they have stated, is a continuation of the service arrangements that have been in place since 2009 and is supported by the National Cancer Control Programme as the most effective way of providing quality assured follow up services to patients who have undergone treatment for breast cancer. Sligo patients will continue to receive chemotherapy locally at Sligo Regional Hospital as part of their treatment programme. The Symptomatic Breast Cancer Service. A comprehensive symptomatic breast cancer service is provided to patients from the west of Ireland at the Symptomatic Breast Unit based at Galway University Hospitals with a satellite service at Letterkenny General Hospital. This service is provided on the basis of clinical need and without regard to county boundaries. The National Cancer Control Programme (NCCP) have set national standards against which all symptomatic breast services are measured: the Galway/Letterkenny service has consistently delivered on these standards ensuring that the best possible service is provided to patients in this part of the country. Galway/Letterkenny service is at the top of the league tables for quality of service: for example, 98% of referrals triaged as urgent by the cancer centre were seen within 2 weeks across both sites and 88% of routine referrals seen within 12 weeks. In addition, Saolta conducted a survey of patient satisfaction, including 783 patients from Sligo: the overall results showed that 85% of patients rated the service as excellent and 13% as good. Therefore, both the NCCP’s key performance indicator assessments and patient satisfaction rating are extremely positive in relation to services provided in the West. In 2009, when the symptomatic breast service transferred to Galway, it was envisaged that Sligo patients (those that had breast surgery in Sligo) or those who had surgery in Galway could avail of the option of surveillance mammography in Sligo. However Sligo Regional Hospital did not have sufficient numbers of trained mammography staff to maintain an onsite follow-up service. A commitment was given that the necessary staff would be provided but it did not prove possible to deliver on this commitment due to the difficulty in recruiting mammographers (despite numerous recruitment campaigns-there was worldwide shortage of mammographers). In September 2012, University Hospital Galway took the decision to send two radiographers to be trained as mammographers but these were needed as part of the core service. At no stage did the level of mammographers reach that required to re-establish a service in Sligo. The Hospital Group remains committed to this training programme in order to ensure an adequate number of appropriately trained staff are retained within the Group. • Potential for fragmentation of the breast service. There is a concern that this would not be in the best clinical interest of patients. Given it is now more than 5 years since the cessation of the Sligo service, many women who already are receiving follow up in Galway would continue to avail of this option. There is no longer Consultant Radiology backup in Sligo and therefore any woman requiring further investigation from a mammogram would need to travel to Galway for this service, with a potential for further delay in intervention. • In order for radiographers trained in mammography to continue to perform their role, they must meet quality assurance standards and minimum numbers of examinations per annum. There are insufficient numbers of surveillance follow up patients that would require mammography in Sligo Regional Hospital to maintain a radiographer’s skill set. Approximately 500 inpatients, 5,200 daycases and 2,700 outpatients are treated between both Haematology and Oncology services across the catchment area of Sligo, Leitrim, South Donegal, West Cavan and parts of Mayo in Sligo Regional Hospital. The service in Sligo is committed to consistently achieving high quality evidenced based care for the management of cancer patients and patients with non-malignant blood disorders. It focuses on all stages of a patients’ journey: prevention, screening, and diagnosis, treatment, palliative and supportive care. Some cancer surgery is provided in Sligo, whilst patients who require specialist cancer surgical treatments travel to either Galway or Dublin. Follow-on care including the administration of chemotherapy is provided in Sligo. In addition, on-site weekly Radiotherapy outpatient clinics are provided from Galway University Hospital whilst patients continue to travel to Galway for radiotherapy treatment. The service strives to achieve individualised, holistic and patient centred care to all patients and their families with the establishment of strong links within Sligo Regional Hospital services, the North West Hospice Palliative Care Service, local community services and other designated Cancer Centres and in particular Galway University Hospital. To this end, formal weekly Multi-Disciplinary Team meetings have been in place between Sligo Regional Hospital and Galway University Hospital for the past 4/5 years for a number of cancer subspecialties. These include Lung, Urology, Breast, Lymphoma, and Gastrointestinal Multidisciplinary Team Meetings where staff discuss individual patients and their treatment plans on both sites. It is very important to note that patients from all parts of the west continue to receive an excellent service across the hospitals in the Saolta Group. Integration across the hospitals within the Saolta Group and improved patient pathways remain a key focus in our efforts to provide a quality and safe service. The cessation of mammography service at Sligo General Hospital is to raised in both the Dail and Senate. Confirmation that the service will not be moved back to Sligo emerged during a meeting between members of the North West Save our Cancer Services organisation and management of the West/North West hospitals group. not in favour of reinstating the service, as such a course would lead to the fragmentation of the symptomatic breast service that would not be in the interest of service provision or women in the West of Ireland. 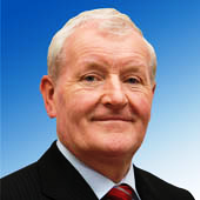 The decision has been attacked by local Fine Gael TD, Tony McLoughlin who said he had been assured on a number of occasions in the last few years that a follow up mammography facility was going to be put in place. which cancer treatment services were removed to Galway a number of years ago. Mr. McLoughlin says he intends raise the loss of the mammography service with the Taoiseach, Enda Kenny and the Minister for Health, Leo Varadkar. 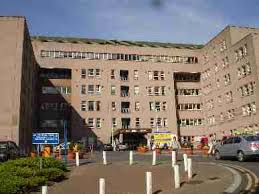 Fears have also been expressed about the future of hospital’s maternity services. If terminated, it would leave the county with little more than a cottage style hospital. 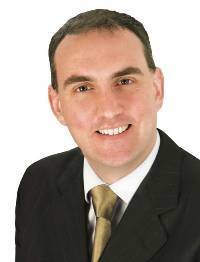 Maintenance of mammography facilities and maternity services have been repeatedly raised in Senate debates by Fianna Fail spokesman on Health, Senator MarcMacSharry. Inheritance tax relief secured under twenty hour farm work rule. 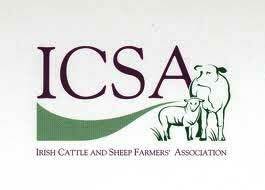 ICSA general secretary Eddie Punch has welcomed clarification that the 50% on-farm working time requirement to avail of inheritance tax relief as per the Finance Bill can be achieved by working 20 hours a week on the farm. “Many farmers who are inheriting farms involved in low income sectors such as cattle and sheep have no option but to also work off-farm. In these cases, it would have potentially been impossible to claim that the farm work was taking up another 40 hours on top of a 40-hour (or more) off-farm job. Low income cattle and sheep farmers are the backbone of rural Ireland and must be encouraged to remain in farming,” said Mr. Punch. “Agricultural relief is vital because it provides a 90% reduction in the value of agricultural assets for the purposes of calculating liability for Capital Acquisitions Tax. Million euro per year budget surplus proposed as financial plan. Pressure is growing on Sligo County Council to shrink its activities in order to pay down a massive multimillion euro legacy debt. Though services have already been scaled back and staffing levels reduced by more than a third, it seems that Coalition Labour minister, Alan Kelly wants still more cuts, or cost containment, something which it appears CEO, Ciaran Hayes has not ruled out. It is being denied that abolition of the council has been threatened if members fail to deliver up a financial plan to address the sweeping deficit by next Monday, 24 November 2014. According to a press release, the plan “is to contain details as to how the council will return a surplus on its revenue account that can be put towards running down the long-term debt over a 10 year period.” A budget surplus of €1 million per year over the next ten years is being demanded. of elected members of previous councils. An issue is particular is the legal bill of millions of euro arising out of a judgment of the Supreme Court on a council decision regarding rights of way through the historic Lissadell Estate. The Taoiseach, Enda Kenny has ruled out a government bailout for the council. It is not apparent that people will be prepared to take responsibility for a debt in the making of which they had no hand, act or part, and about which there was no consultation with them. Does this, therefore, mean accountability for the legacy debt rests with councillors, and that those who sanctioned the expenditure under various headings must pay for it? Proposed measures for 2015 include the introduction of an €150 charge for call outs to chimney fires and €400 per hour per fire brigade station for other domestic fires or incidents. which the council is legally prevented from increasing. The commercial rate may be widened to take in among other facilities some sports clubs, while this year or next property tax may also be increased. It will be recalled that just a few months ago, Fianna Fail and Fine Gael joined in voting against a proposal to reduce the local property tax on family homes in the county by 15%. Sligo currently has one of the highest levels of home property tax rates in the country. Though not specifically identified in the Estimates, the council may move to make communities responsible for maintenance of local public roads. A scheme to this end was launched by the environment minister, Kelly. multimillion euro legacy debt, it defies understanding that compensation to the value of the assets has not been awarded to the debt-ridden council or communities from which locally paid for group water schemes were removed. FINANCIAL MODEL BLAMED FOR SLIGO COUNCIL’S €80 MILLION DEBT PILE. Sligo County Council’s €80 million debt has been blamed on the authority’s financial model. Mr. Hayes was commenting following warnings by environment minister Alan Kelly that the council could face dissolution unless it found a way of dealing with its massive debt overhang within the next couple of weeks. Defending the investment as “the right decision,” he said the expenditure was a “major factor in enabling us to promote Sligo as a prime location for direct foreign investment.” However, the council was never recompensed for its investment in the assets, he said. The result for the authority “was a significant increase in our operating costs, with a major decrease in our revenue base. This has left the council with a legacy debt which has arisen due to our adherence to our government policy and our investment in the county’s infrastructure. “Sligo is not solely to blame for this situation, therefore it is not equitable to expect us to have exclusive responsibility for dealing with it. “The department has acknowledged that difficult decisions have been taken by Sligo County Council to address its financial difficulties. Mr. Hayes said he had “no difficulty” in trying to achieve further savings and efficiencies, but the council was also left with the responsibility of funding services it did not deliver. 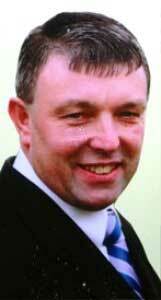 “For example, our duty to pay for Coroner’s fees could result in expenditure of over €200,000 in 2015. Having stated he believed the core issue of the debt situation was that the council’s financial model “was not robust enough the withstand the major downturn in the economy in 2008,” he said the financial challenges now facing the council were symptons of a wider problem, “and Sligo is not the sole author of its difficulties. “It has to be borne in mind that we have corporate goverance obligations, and we need sufficient numbers of staff with the requisite competence to fulfil these obligations.